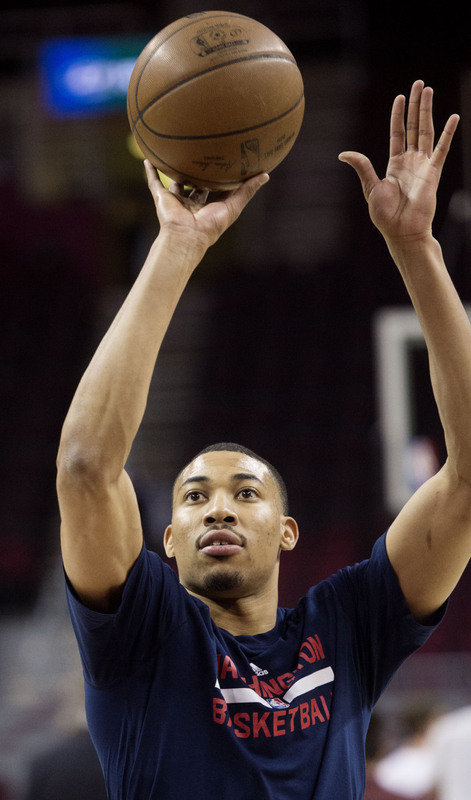 The Wizards announced they will match the Nets’ four-year, $106.5MM offer to Otto Porter, tweets Candace Buckner of The Washington Post. Porter still has to pass a physical before the move becomes official, notes David Aldridge of TNT (Twitter link). Washington had until 11pm Central to decide on the offer sheet, so the Wizards beat the deadline by about two hours. They had vowed to match any offer, even as Porter was negotiating with other teams. The new contract will make Porter the team’s highest-paid player next season with a $24.8MM salary, Buckner notes. It also pushes Washington above the luxury tax line for the first time ever. The Wizards have $126.5MM in salary committed for the upcoming season with 13 guaranteed contracts and two non-guaranteed, along with an $11.4MM tax bill, posts Bobby Marks on ESPN Now. The Nets’ offer to Porter includes a 15% trade kicker and a player option for the fourth year, along with a provision stating that Porter will receive half of his annual salary by October 1st of each year. By matching, Washington brings backs a key piece of last season’s roster, as Porter appeared in 80 games, all as a starter, and averaged 13.4 points and 6.4 rebounds per night. He has been with the franchise since being taken with the third pick in the 2013 draft and has been a regular starter for the past two seasons. For the Nets, it’s the latest in a string of misses in restricted free agency. Over the past 12 months, Brooklyn has submitted offer sheets to Allen Crabbe, Tyler Johnson, Donatas Motiejunas and Porter, and all were matched by their current teams. Tonight’s decision won’t free up the Nets’ cap room right away. Porter has two days to undergo the team physical, then the Wizards have two more days to report the results to the league. So it’s possible that Brooklyn’s cap situation will not be resolved before Wednesday. Brooklyn will have $28.3MM once the process is complete, Marks posts. I mean if I understand correctly, there’s still somewhat of a chance, even if its minuscule. Why are players like this making absurd money? There’s no gap anymore. Either you make max or close to it or you’re making less than half that amount. If this is what it costs to pay decent starters these days they need to increase the cap by another 20-30 million and remove salaries that scale with the cap (ie: 30% of cap max deal). Make it a fixed amount that can be adjusted each CBA. The cap is 50+ % of revenue. There is ZERO reason for the owners to give the players $20-$30 million on the cap. Your point about Good players getting over paid is correct. It’s all about timing and what desperate teams like to Nets try in vain to sign about good. Players like this make absurd money because they’re restricted free agents, and teams overpay them in an effort to prevent the original team from matching. There isn’t really much more to it. I agree with your frustration because it seems like everyone gets a max deal nowadays, but I at least understand why people overpay restricted free agents, even if they aren’t necessarily worth it. There’s more teams with cap space than talent on the FA market. The truly elite players are few in number and don’t often make it to free agency. When they do there’s generally only a handful of teams theyre willing to sign with. The rest of the league is left to bid against each for whatever else is available, which is usually middling. Otherwise they’re just punting an asset (cap space). This problem with FA is why tanking is en vogue. Valid points. It just feels unfair to the elite players who at this stage are getting paid less than these guys in some cases. I know they don’t mind, and its picking pennies at this point. Its just weird to me. Its a cycle where bad teams have to overpay for decent players but this keeps them bad for the time being. I just wish the cap wasn’t so top heavy for a player or two with 13 guys splitting less than half of the pot. That’s a crazy amount of money for someone who isn’t John Wall. Wall isn’t relevant. His agents are horrible and he fired them replacing them with Lebron’s agent. He didn’t even get a player option the last year locked-in through 2019. John Wall could also take the $170M offer on the table right now to sign that extension. Either way, two aren’t comparable, and Wall will top Otto Porter Jr’s contract very soon. Otto Porter Jr is going to be a very happy man every October 1..
That October 1 clause.. Lol give me his agent. Some guys want to be outrageously rich and some guys want to be competitive. Only few are lucky enough to be both.